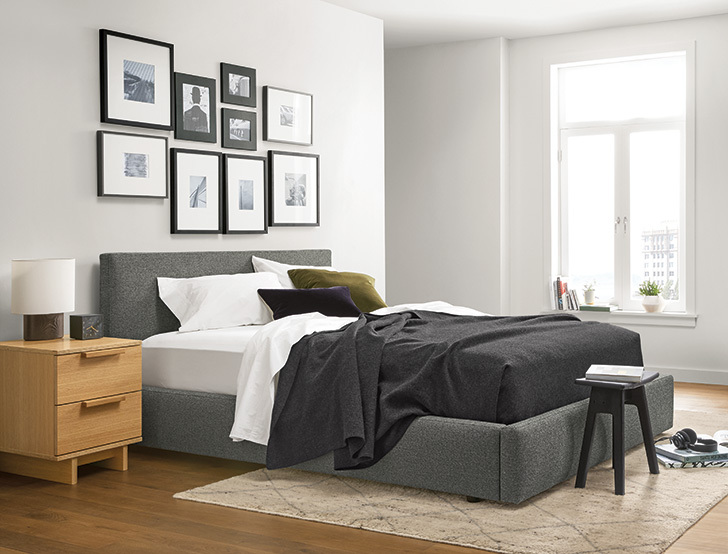 We love small bedroom chairs for their function, versatility and modern style. It’s helpful to have a spot to toss clothes, a place to sit while you put on your shoes or to bring out as additional seating when hosting guests. 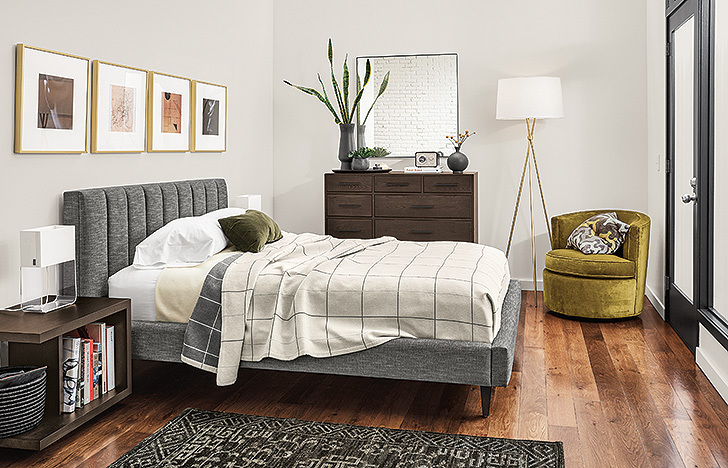 Check out a few of our favorite small bedroom chairs below and other benches, stools and ottomans that bring seating, style and storage to small bedrooms. Simple and classic, our Otis swivel chair is a modern version of the classic tub chair. Otis is an inviting chair that works perfectly in bedroom corners because of its smooth-gliding swivel base and compact design. 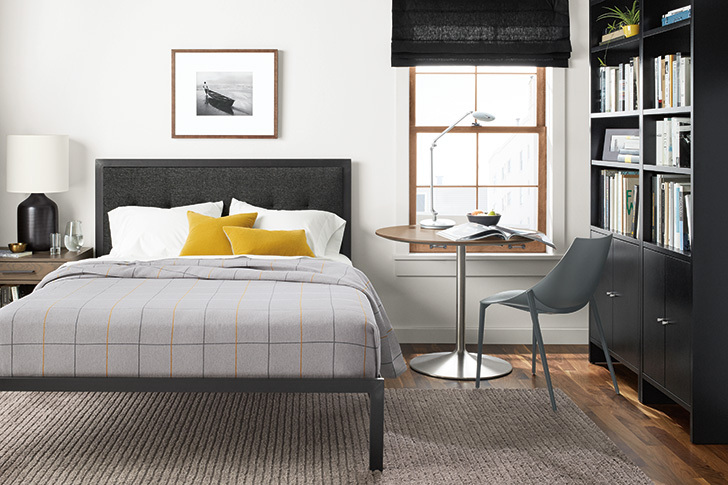 The versatile design of the Hoop chair makes it a bedroom no-brainer. It’s perfectly scaled for tight corners and its unique back shape supports occasional or all-day seating. The cast aluminum base and powder-coated finish adds a clean, modern look. No room for a small bedroom chair? Try an ottoman! The Dodd leather ottoman has a unique tapered shape and ample storage to look good while doing double duty. Vermont woodworkers handcraft each Thatcher chair from solid wood with mortise-and-tenon joinery. With a nod to Shaker design influences, this stylish dining chair is great for bedrooms, yet easy to move to other parts of your home if you have guests. This petite stool can nestle into any small bedroom and has an origin story you’ll be proud to share. The yellow pine is carefully salvaged from Baltimore row houses by an organization that supports individuals with barriers to employment.